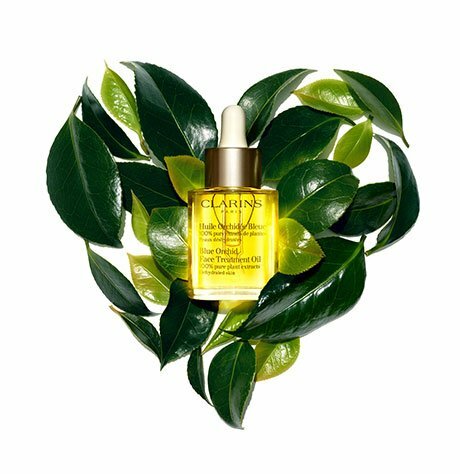 You will find the widest selection of products from Clarins, including the newest products as well as beauty-award winning skincare, sun care, color cosmetics, men’s products and fragrance on Clarins.com. You can also find our products at fine department and specialty stores worldwide. To find a Clarins retail location near you, please visit our store locator. To place an order, click the "add to cart" button next to any product you wish to purchase. When you have added all products you want to order into your cart, click on the "proceed to checkout" button to begin the checkout process. The site will guide you through the necessary steps to gather pertinent information to get your order to you accurately and promptly. If you need assistance with your order, please contact Clarins customer service at 1-888-328-1922 from 9:30 am - 6:30 pm EST Monday - Friday (excluding holidays). For your protection, a customer may place up to 3 orders on Clarins.com within a 24 hour period. If you have any questions or concerns please contact our customer service center at 1-888-328-1922 from 9:30 am - 6:30 pm EST Monday - Friday (excluding holidays). You may also contact us via email at contact@clarins.ca. 14 Can I ship my order outside of Canada? Clarins.com delivers to all addresses within the 10 canadian provinces. Delivery to international addresses is currently not available. *Delivery to some remote addresses may require up to 2 additional days. If you have correctly entered all your information and are unable to complete the checkout process, we may need further information. Please call our customer service center at 1-888-328-1922 from 9:30 am - 6:30 pm EST Monday - Friday (excluding holidays). You can also contact us via email at contact@clarins.ca. If payment is declined, please contact your bank or credit card company first. Authorization is between our banking provider and your financial institution. If you encounter any further difficulties or have any additional questions, please contact our customer service center at 1-888-328-1922 from 9:30 am - 6:30 pm EST Monday - Friday (excluding holidays). You can also contact us via email at contact@clarins.ca. Orders are processed once they are submitted. We generally dispatch orders within the same day so it may not be possible to cancel an order once it has been placed. If you need to return an order, please review our Returns Policy. Delivery times often vary. If you have any problems or do not receive your order by the date specified, please contact our customer service center at 1-888-328-1922 from 9:30 am - 6:30 pm EST Monday - Friday (excluding holidays). You may also contact us via email at contact@clarins.ca. We are happy to rectify any errors. Please contact our customer service center at 1-888-328-1922 from 9:30 am - 6:30 pm EST Monday - Friday (excluding holidays). You may also contact us via email at contact@clarins.ca. Returns take 2 to 3 weeks to process. If several weeks have passed since your return, and you have not received a replacement or refund, please contact our customer service center at 1-888-328-1922 from 9:30am-6:30pm EST Monday - Friday (excluding holidays). You may also contact us via email at contact@clarins.ca. Clarins.com has the widest selection of products, you can also shop at one of our authorized retailers online and offline and at our standalone stores. Protect yourself and those you care about by buying only authentic Clarins products from authorized retailers. If you are not sure if a retailer is authorized, please contact us. Please note, if you have questions about stock/product availability or customer service outside of Clarins.com, you must contact that specific retailer. 36 My question isn’t listed. If you still can’t find an answer to your question, please contact our customer service center at 1-888-328-1922 from 9:30 am -6:30 pm EST Monday - Friday (excluding holidays). You may also contact us via email at contact@clarins.ca.